Below in the Tour Dates section, see upcoming performances in Black Mountain, Asheville, and Fort Worth, TX, and an expo in Dallas. I'm very happy to participate in the benefit for WHITE HORSE BLACK MOUNTAIN which is on Sat. and Sun. April 10th & 11th with 20 musical acts. Please support this excellent music venue! My solo piano set will be at 7:30 Saturday. My trip last month to NYC for the New Life Expo was great! The highlight was a concert I performed on Saturday night to a large audience, which included music from Sky Jazz, Light from Assisi and a Musical Soul Portrait for the audience. Thanks to Mark Becker who hosts the show, and Daniel Kassell who supported my returning to this expo after many years. Thanks also to Ada Ravinsky who helped at the concert, Sharon Buchman who helped me pack up and my college roomate Jeff Van Nostrand, and other friends who made the trip easier! 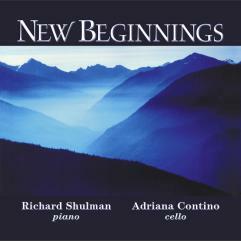 Performance: Consciousness Through Music Concert: A combination of transcendent experience and celestial sounds, Richard Shulman's music creates a resonance field in which connection with Higher Self and I AM Presence becomes clearer and more deeply felt. Booth at front of Expo with music for meditation healing and enlightenment. A Musical Soul Portrait session will give you music which follows the path of your own Divine connection. Each one hour session includes a recorded musical journey which can awaken memories and visions, activate your own soul mission and give you the feeling and recognition of "Coming Home". Your CD will be approximately 1/2 hour long and can be used for meditation, healing, relaxation and inner exploration. It is always inspiring, sometimes surprising, and often healing. This music can help you align to your soul's purpose, feel the sweetness of life, and remember the love, wisdom, power, peace and beauty that live within. At the beginning of each session an intent can be set for spiritual growth and for support through the music for any issue for the Highest Good. Sat. April 24th Morganton, NC 3:00 pm Morganton, NC's Earth Day Celebration. Catawba River Soccer Complex on the Greenway. 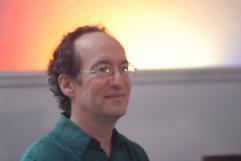 Wed. May 12th Everywhere on your Computer Noon Eastern Standard Time Radio Interview on Jonathan Goldman's show The Healing Sounds www.healthylife.net. I'll be speaking with Jonathan about music and sounds for healing, wellbeing and ascension. I'll be giving the Sunday program for the service with inspirational talk and music. Various performances throughout the show and Booth 656 at the International New Age Trade Show (INATS) at the Denver Merchandise Mart, Denver CO. This is a for-the-trade only expo for retailers, wholesalers and manufacturers of uplifting products and services. New Beginnings is a great theme for Spring. Here is the title track plus a link to my blog where you can read the enhanced liner notes and listen to the whole CD. I'm continuing interviews with various composers, performers and recording artists in a fabulous new magazine called New Awareness Magazine. The current interview in the April - May issue is with sound healer/vocalist Suzanne Mousette. The June - July issue will have an interview with Celestial Music and video composer/performer/artist Iasos. The blossoms and leaves have arrived!